Aero Express is an Authorized Distributor for the Barfield TT1200A Test Set. Aero Express will buy, sell and trade the TT1200A depending on your needs. The Barfield TT1200A is our latest Digital Turbine Temperature Test Set. 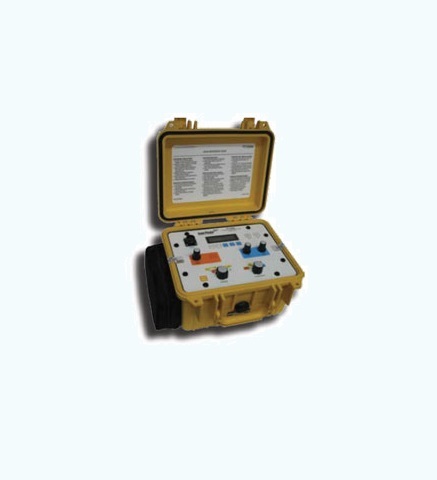 It is microprocessor based, completely self-contained, battery powered unit housed in a new high visibility ruggedized enclosure. It is designed with sufficient accuracies and range to be able to test the newest digital and glass cockpit indicators with simple operation, direct reading, and multi-function versatility. Express Calibration is the Authorized ISO-17025 Calibration and Repair shop for the Barfield TT1200A. Visit www.expresscal.com for full capabilities.